WIP Wednesdays – Knit-a-Doodle Do! It’s another WIP Wednesday. I’m still working on my Cersei Howl. The project is 50% complete, and the hood should not take that long to complete. I might actually have matching accessories this year. 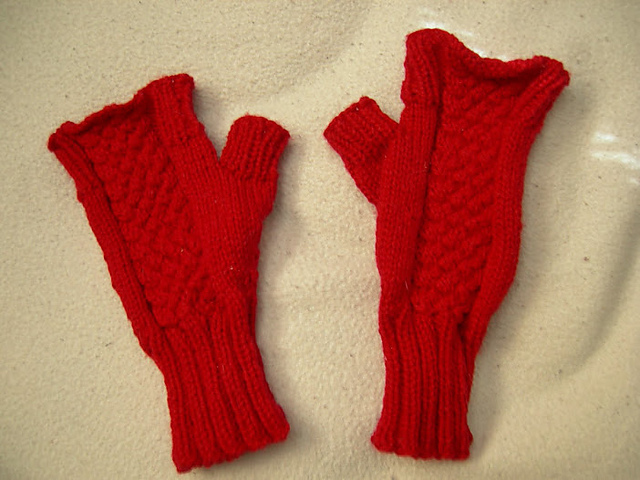 Ages ago, I knit a pair of fingerless gloves out of this beautiful red cashmere yarn. The Howl matches them perfectly. I love these gloves so much. It’s like the goddess of soft things made the yarn perfectly for them. This month, I begin swatching for the 2018 Fall/Winter season. Approximately half of those swatches are done, too, which means I’m on track. There are 13 designs coming out this year. There are two designs I needed to push back from spring to early fall. 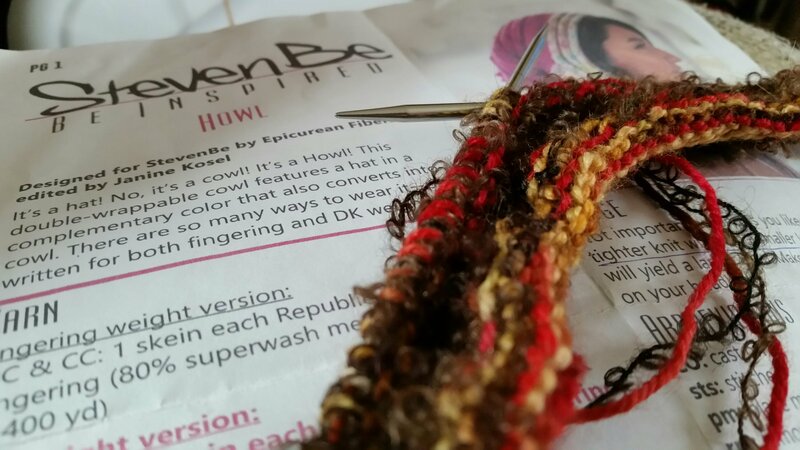 Finding test knitters for an April release during the holidays is bananas. Don’t do it! Everyone is knitting for family and friends or taking a break. Come the February, I will have three patterns to test right off the batt. If you want to be a tester, please fill out the form on this page and I will enter you into the database. Illustrations are going well. I’ve been working on January’s desktop calendar. There have been a lot of edits to the original sketch, but it’s nothing out of the ordinary. If you’re one of my tweeps, you’ve seen a sneak peak of what’s going on. If you’re not, please check me out on Twitter. This first desktop calendar will be free to all, but they will be subscriber-only freebies. The great debate is whether to create patreon account or do a mailing list subscription for the freebies. I’m kind of hesitant to create a patreon account this early in the game. However, I want to do a twitch.tv account by the end of February. So, that too is a work in progress. I’ll update more on this soon. I hope you had an awesome Wednesday! I planned this project during the Wisconsin Sheep & Wool Festival (September). It’s probably the one good fiber-related idea I had that day. Otherwise, I wouldn’t have bought any yarn. How crazy is that? For the better part of five months, I have been knitting a Worsted Boxy Sweater by Joji Locatelli with the bees at Bumblebee Acres Farm. It was supposed to be done by the Wisconsin Sheep and Wool Festival, but life happened.